My car is having a hard time detecting my key and the car is brand new with 1100 miles, I gotta recharge this key? The key can not be recharged. It uses an inexpensive button battery that should last for years. 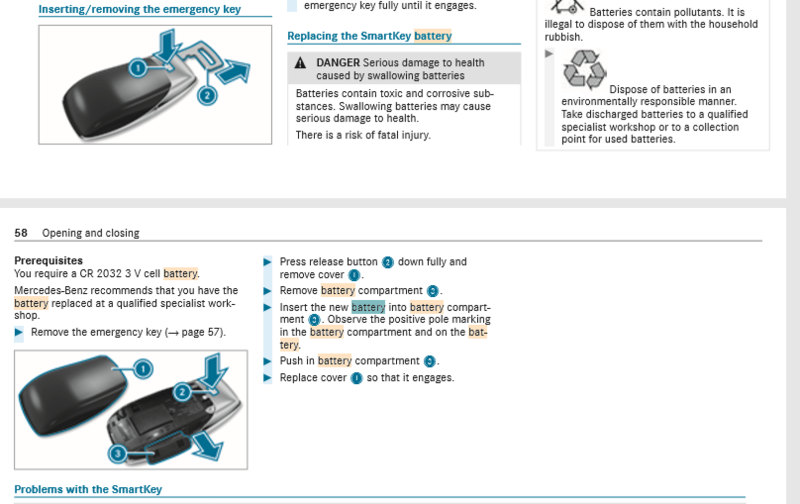 How do you open the key to replace the battery? The batteries don’t last for years because they are always sending a signal. My dealer replaces both batteries when I do my annual maintenance as part of the service. On my previous car the original battery was replaced at 4 years with another replacement when the car was 9 years old. IMO a key fob transmits only when a button is pushed or it responds to a transponder signal. Otherwise battery replacement would occur more than once a year because those 3v batteries do not have very much power. Last edited by ua549; 03-23-2018 at 01:41 PM. when you lock your car using key fob, if you press "lock" twice, the car will automatically set to "sleep" and won't receive any signal from key anymore. So if you come close to the car and grab door handle, it won't recognize it.